There’s nothing like that first sip of coffee in the morning. As your body prepares for the day ahead, caffeine slowly wakes up your system to get you going. But, with every single-serve cup of espresso we consume, our planet is weighed down by further plastic and aluminum being added to landfills. What could be better than combining our love of coffee with a commitment to be more earth-friendly? Amanda Harari has found a way to do just that. She created “Woken”, a company committed to selling one hundred percent compostable coffee pods. Woken’s coffee pods are the answer to the single-serve garbage crisis. It gives customers what they love: their daily cup of espresso, but with care for the environment. Not only is Woken unique for its digital platform and sustainable products, but Amanda’s relentless commitment to making Woken the best it can be is remarkable, too. The world is ready for Woken, and Amanda hopes it will be embraced with open arms and extended coffee mugs. 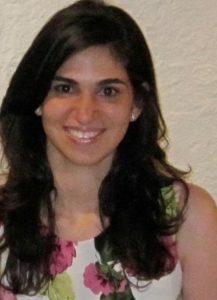 Amanda Harari grew up in Montreal and studied Business at Concordia University. She created “Woken”, a digital coffee brand selling compostable espresso pods. She looks forward to her business’ relaunch in October and believes that Woken coffee should and will become a staple in the commodity business. Explore Woken through their Website, Facebook, and Instagram.